This article is published with the permission of RoadRUNNER Motorcycle Touring & Travel Magazine. It is not for sale or redistribution. RoadRUNNER is a bimonthly motorcycle touring magazine packed with exciting travel articles, splendid photography, maps and GPS files. Subscriptions are available online (www.roadrunner.travel), or by calling (866) 343-7623. The spicy flavor of this British-born, massaged sportbike machine delivers tons of passion from each twist of the wrist, but the BMW’s practical and concise demeanor also delivers in predictable and repeatable ways. Many ask the same question, “Which one?” But only your own taste buds know what you like—fancy a cup of tea or a beer? Backed up with a little ride through some of Mother Nature’s deadliest terrain, aka Death Valley National Park, this is how they stack up on paper, as well as on the trail. In our last issue, we showed you a collection of motorcycles you might consider the sport tourers of the fire road; each one capable of tackling border and stream crossings with aplomb. 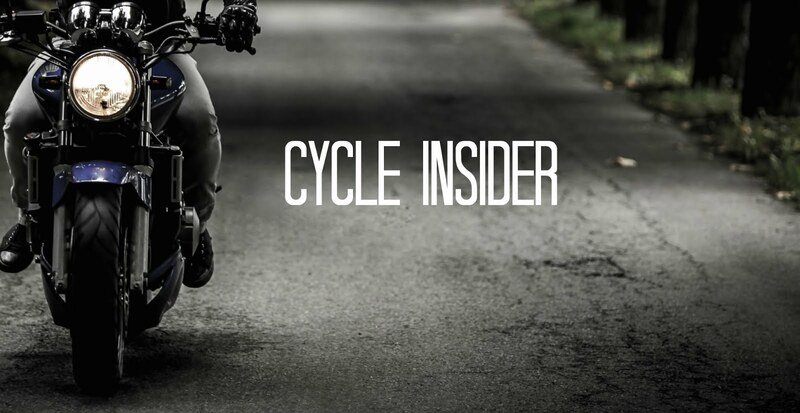 They are the big boys on the block, but in this issue we take a look at their more affordable (and possibly even more capable) siblings—the popular 2014 BMW F 800 GS and the newcomer 2014 Triumph Tiger 800 XC. A pair instead of a trio this time, the parameters for this test are otherwise the same as the last. We compare two similar chain-driven machines with a comparable laundry list of crash protection and farkles, along with a set of knobbies for each bike. With larger (21-inch) front wheels than the big bikes, they instead received Continental Twinduro TKC80s on the front and the same Sava 150/70-17s we put on the bigger machines’ rear wheels. Beyond that, they share a similar trellis-frame construction, laced wheels, inverted front forks, and tall windscreens. Easily confusing the casual onlooker, they’re extremely analogous machines, some say by design. BMW was first to the mid-sized adventure bike game; Triumph stepped to the plate a few years later with a comparable unit stuffed with its own inline-triple engine to steal a portion of BMW’s market share. BMW returned the volley with a lighter, more dirt-friendly machine, hoping to win back a few lost customers. With the addition of an Adventure model to boot, BMW leads the way. Since Yamaha doesn’t offer a middleweight version of the Ténéré in the U.S., the testing narrowed to the two most popular middleweight adventure bikes. When comparing them to their model line mates, each has its own merits and demerits. 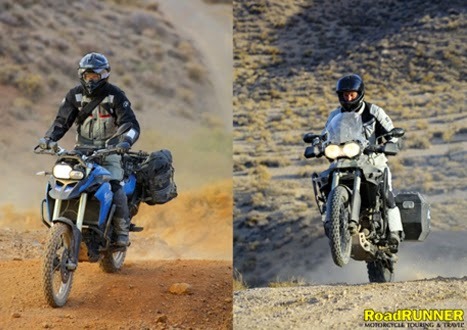 Furthermore, the Triumph lineup includes three versions (800 ABS, 800 XC, and 800 XC Special Edition), but there is nothing quite like the battle-ready Adventure model available from BMW, so we chose to test the standard 800 GS against the 800 XC for a more direct comparison. With both the XC and GS retailing for thousands less than their bigger brothers (nearly a small motorcycle’s cost in difference!) and at 50 to 100 pounds lighter, these models are often part of any buyer’s equation when considering the purchase of an adventure bike. Everyone wants the biggest and best, or to ride the bike that Charley and Ewan rode in that mini-series, but not everyone has the bank account or the inseam to do so. Long live the compromise—perhaps one you won’t even regret! The classic Triple vs. Twin battle will sway your decision-making process along the way, but there’s so much more to consider, sort of. They make roughly the same horsepower and torque (85hp BMW and 61lb-ft vs. 95bhp Triumph and 58lb-ft), stand around the same height at the saddle (34 inches with variants), both have switchable ABS brakes as standard, and they retail within $ 100 of each other. So what’s the difference, and how do I decide which is for me? Read on. Historically speaking, BMW (MSRP $ 12,090 MY2014) has been making dual sports for far longer than Triumph and has learned a few things along the way, thus the flattering imitation in the Tiger’s design. Primarily, the BMW masks its weight better than the Tiger. Stuffing the fuel tank beneath the seat (lowering the center of gravity) and having slightly longer and more adjustable (partially electronic vs. manual) suspension travel give the BMW superior handling off the pavement and up on the pegs. A family rivalry check puts the F 800 GS about 50 pounds lighter than the R 1200 GS thanks to 1.1 gallons less fuel among other things. A $ 4,000 price differential also leaves room in the budget for that KLIM suit and a fresh new Shoei helmet—a nice compromise. As the “baby” in the lot of 12 bikes on this Southern California ride, the 800 GS took on a lot of the week’s miles under the guidance of a relatively new rider and came away with a fair share of dings. Paint scrapes aside, the shift and brake hand levers both snapped (in half, not completely off) during tip-overs, the foot shift lever came home looking like a wet noodle, and the sidestand return spring mounting pin was also left on the trail. This had us tying the sidestand up to the frame with some cord for riding as well as parking on the centerstand at every dismount. Luckily, each part was easily replaceable and ready for an aftermarket upgrade from the usual suspects. Built upon a stroked out Daytona 675 engine, the Tiger’s (MSRP $ 11,999 MY2014) heart lies in ripping up the street. The XC excels the most in weight savings over its bigger brother (down 114 pounds), price point ($ 5,200 less! ), and in ergonomic comfort on the trail. This rev-happy ride takes a few miles to adjust to on the trail. In comparison to the GS’s “tractor-like” parallel twin, it takes a rider who is not afraid to twist the grip to find a groove with the smoother triple. Throttle modulation isn’t quite as forgiving as the BMW’s for this machine, but trail riding predominantly in third gear seemed to keep the engine in the meat of its powerband. With more claimed horsepower and a strong linear torque pull, the Triumph has an easy day off-road with the right wrist. A non-adjustable fork helps keep the price in check, but a preload and rebound adjustable Showa monoshock in the rear manages the compromise between price and usability. The lowest saddle in the test (32.3 inches) would be one of the three optional saddles from BMW. The Triumph has only one saddle to offer, but two riding positions are built into it. The lowest is still an inch taller than BMW’s lowest, however. Après trail ride, this is what we call lucky! Not being able to find an aftermarket skid plate for the 800 XC at the time of the test, we ran with the stock one. While it’s a stout looking unit, it does flex when put to the test. As you can see in the photos, at some point in the ride it was pushed back against the oil filter and dimpled the outer shell. Fortunately it was not pierced, crushed, or cracked, so no oil was lost. A new filter was easily replaceable—that time! As learned during the XC’s press launch, Triumph’s brand accessory luggage takes on damage with very little effort, so we were happy to have Al Jesse’s sturdy side cases mounted to the little Tiger, and they performed as expected. If you’re a street-heavy rider looking to get off the slab, and you have a dislike for vibrations in any and many forms, the Triumph is sure to please. Meanwhile, if the reason for riding all that way is to turn off the asphalt and into the wild outback, over rocks and streams as well as pavement, the BMW should have your greater attention. After all, price point, saddle height, horsepower, and torque numbers are nearly the same, which leaves you to choose between tea or beer with your crumpets. I like both the BMW and the Triumph. We like them both, no point comparing them. Whenever we are making comparisons against 2 vehicles be it a motorbike or a car, we would often list down the differences in their performance and technical aspects. However, in this case both of these speed machines seem pretty close in similarity from what I see. Hire students assignment help expert for getting the best assignment help Singapore at a very low price. We offer a 10% discount on your first order of assignment service. For assurance of our work, you can check our sample work on our website. Assignment writers from top universities of Singapore are affiliated with the world's finest assignment help company named "SingaporeAssignmentHelp.com". You can get Write my assignment help from us at a very reasonable price.